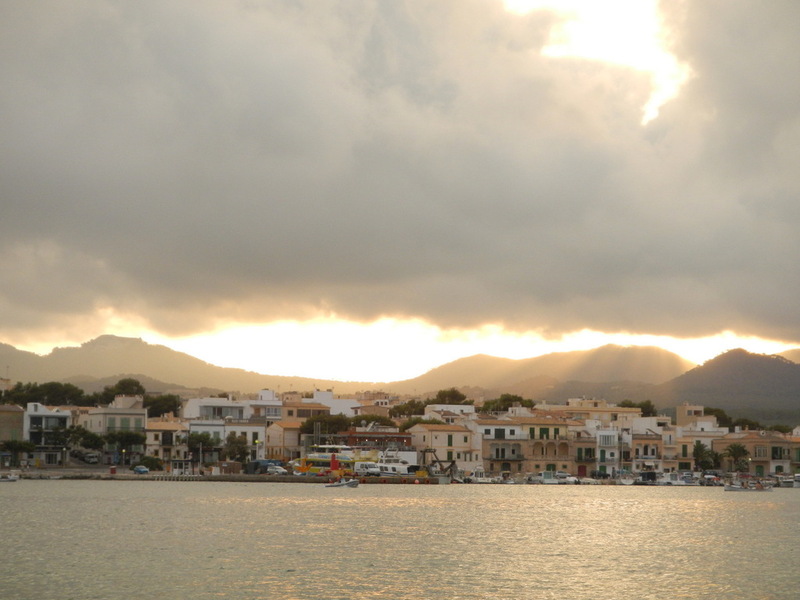 Porto Colom: Just a place I could see myself staying for a very long time! A small fishing village ... but with plenty of charm! 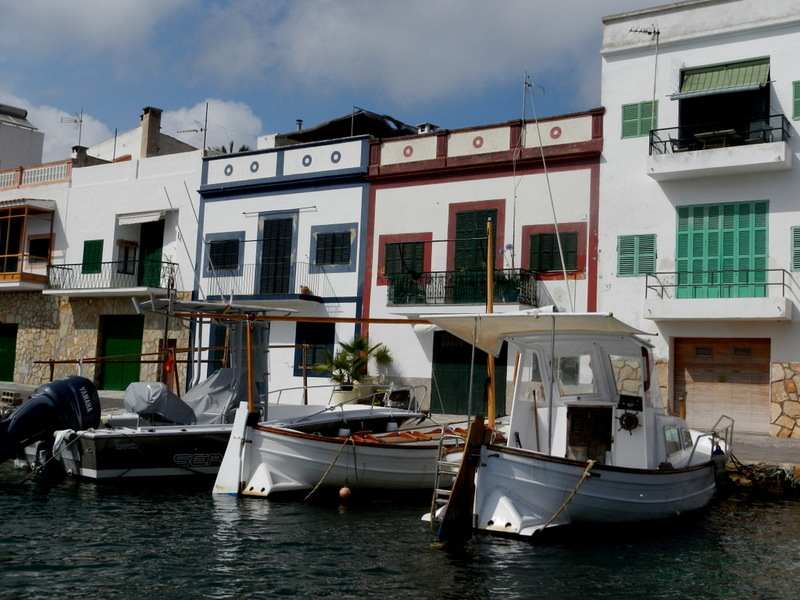 Porto Colom is a small traditional fishing village although it has the largest natural harbour in Mallorca. A few mansions seems the entrance of the port but other than that, it has a the feel of a really old town that is mainly inhabited by people involved in the large fishing industry. The edges of the whole bay have boats of all sorts lying like tadpoles! Mostly fishing boats – from really small ones to big fishing trawlers. The fishing activities are giving this village a feel of being a low key and happy-to-have-escaped-mass-tourism! The first mate of Scolamanzi is just loving this place! People on the streets are mainly locals and very friendly! Houses ar small and simple and I suddenly have the urge to own one! This is a place I can see myself living in! There is a handful of (great) restaurants for a small place (which means that some tourists are making their way their) and a few basic shops and a German Dentist and a Cardiologist (of all things!) that we have noticed during a late afternoon stroll! Johann lost a crown a few weeks ago and decided to get it fixed. He was very impressed with the low fee of the dentist and glad we had time to get it done … and by lunch time the next day, he was less impressed with the crown coming off again! We anchored the first night but was pretty close to the channel and being unsure what the weather will do the next night and picked up a mooring for 33 Euro – a small fee to pay to get a good night’s rest! 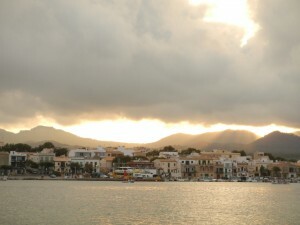 Porto Colom as I will rember it! We could not get away from Porto Colom – we stayed for 2 nights and considered a third but the weather window opens and the door to Porto Colom closed the next morning! We still have a long way to make it all around the island before we have to be back in Palma and could not afford the luxury of staying as long as we want to! We basically left the next morning at 6am and motor-sailing. It seems to me that there is a lot of truth in the saying that no matter what – 95% of the time you will find yourself motoring around the Med! Certainly true for us! If there is a breeze it is always on the nose!